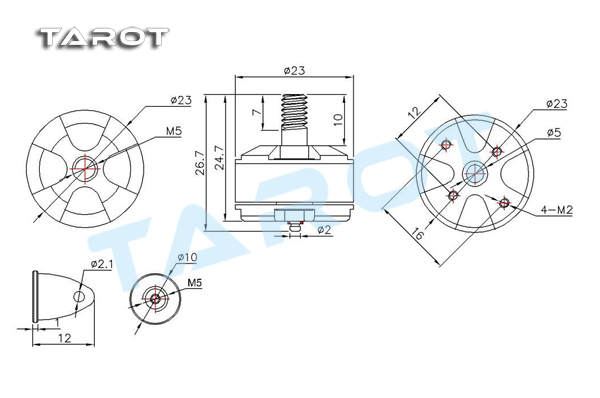 The Tarot MT1806 is a small but powerful motor. It's a great choice for 250 class racing drones, and the recommended motor for the following Tarot quadcopters: Tarot Mini 200 (TL200A / TL200B), Tarot Carbon Mini 250 (TL250A / TL250B) and Tarot RoboCat (TL250C / TL250H). 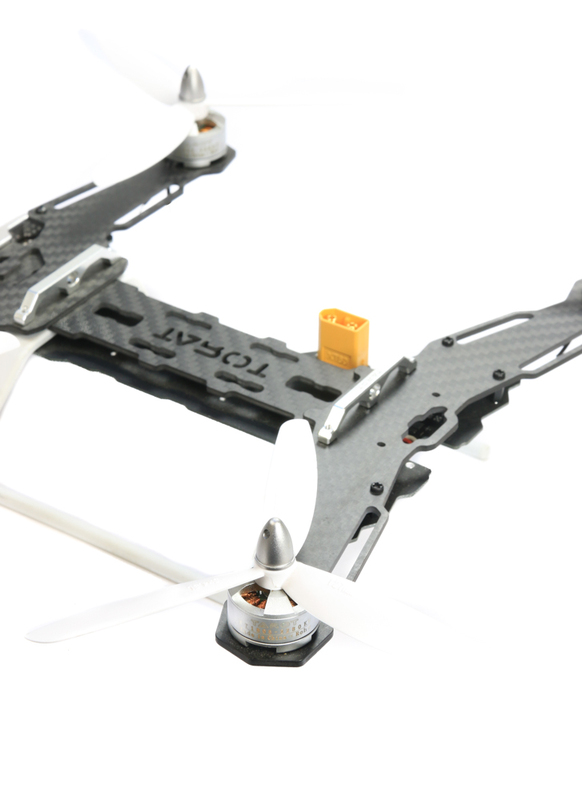 The motor is designed to spin a 5-6inch prop and it even comes with two 5045 tri-blade propellers to get you going. The MT1806 is rated at 3S and we recommended matching it with a 16-20amp ESC. The motor features an integrated one-piece CNC motor housing and prop shaft design. This does away with the need for a separate prop adapter; the result being a lighter, stronger and more compact motor. Please note that as the motors are available in clockwise or counter clockwise thread rotations, you will need two of each type for a quadcopter.